Today’s tutorial is making a personalized glass bead necklace. 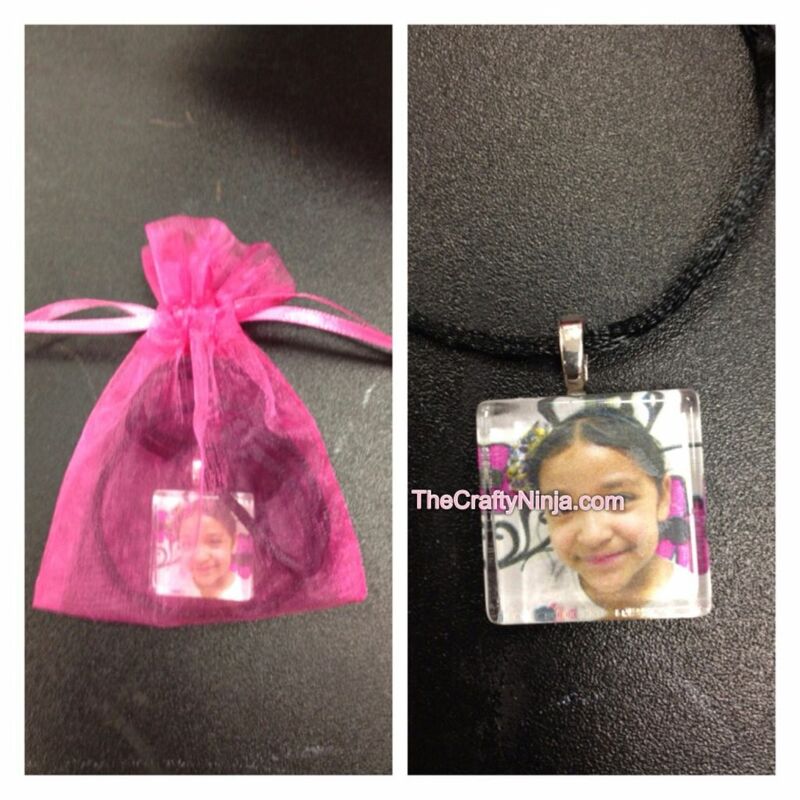 This project was inspired by the second grade teacher’s necklaces their students made for their Mother’s Day gift (see bottom of page). Supplies needed: Diamond Glaze, Glass Square Bead, Super Glue, Heart Bails, Satin Cord, Flat Paint Brush, Scissors, and option Small Organza Draw String Bags. To start I used a black and white Mandala coloring sheet I printed off here, but you could use any kind of paper, scrapbook paper, photo copies, etc. 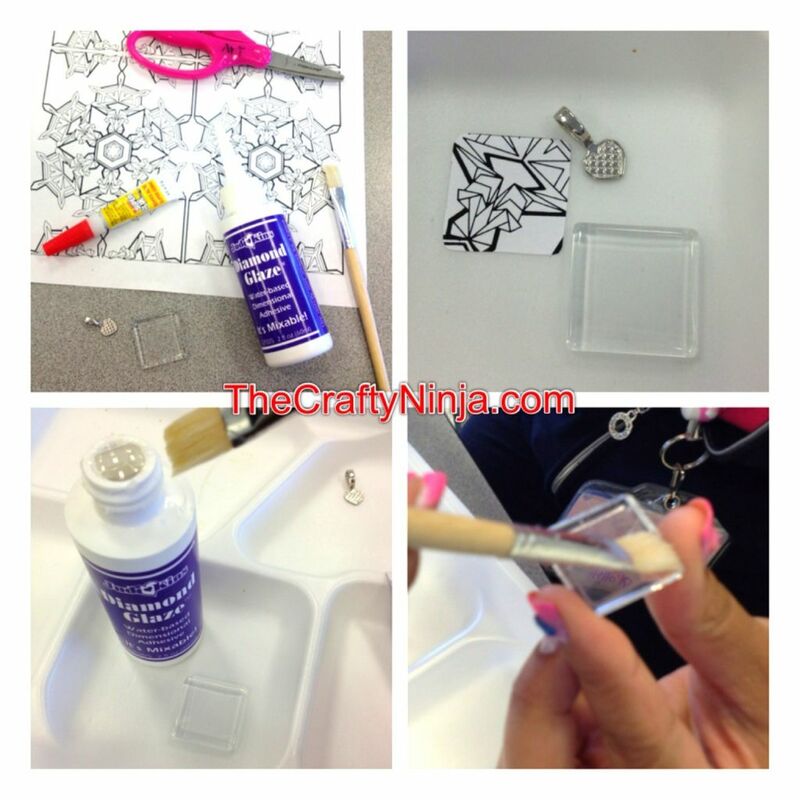 Trace the Glass Square Bead on the mandala paper and cut out the square. Dip the Flat Paint Brush into the Diamond Glaze, you only need a small amount, and brush the flat side of the glass bead. Be sure to apply in the same direction to avoid any brush strokes. 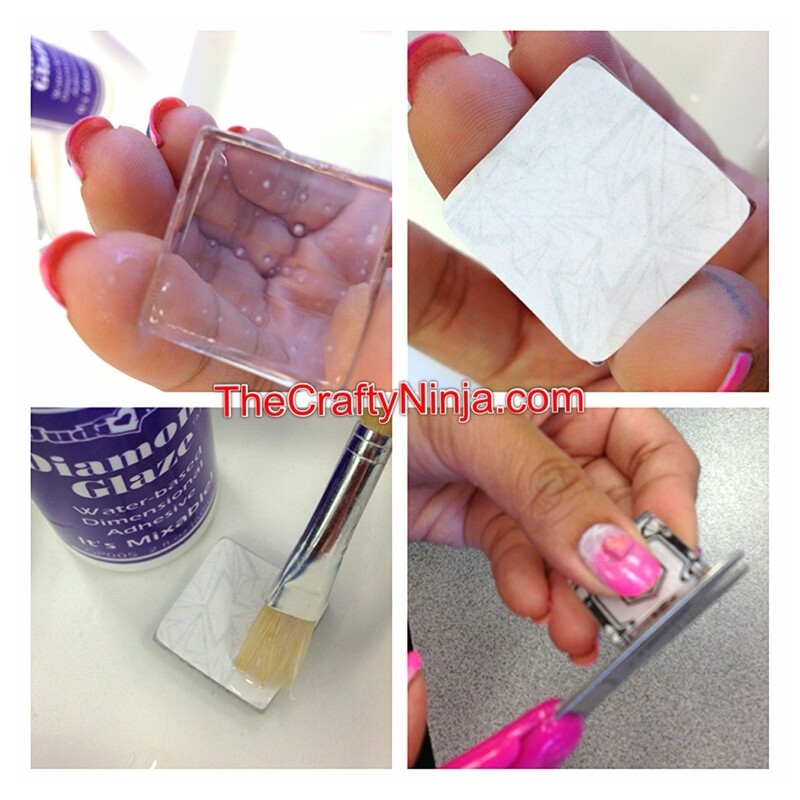 Then apply the cut out square face down and gently rub to glue in place and let dry. 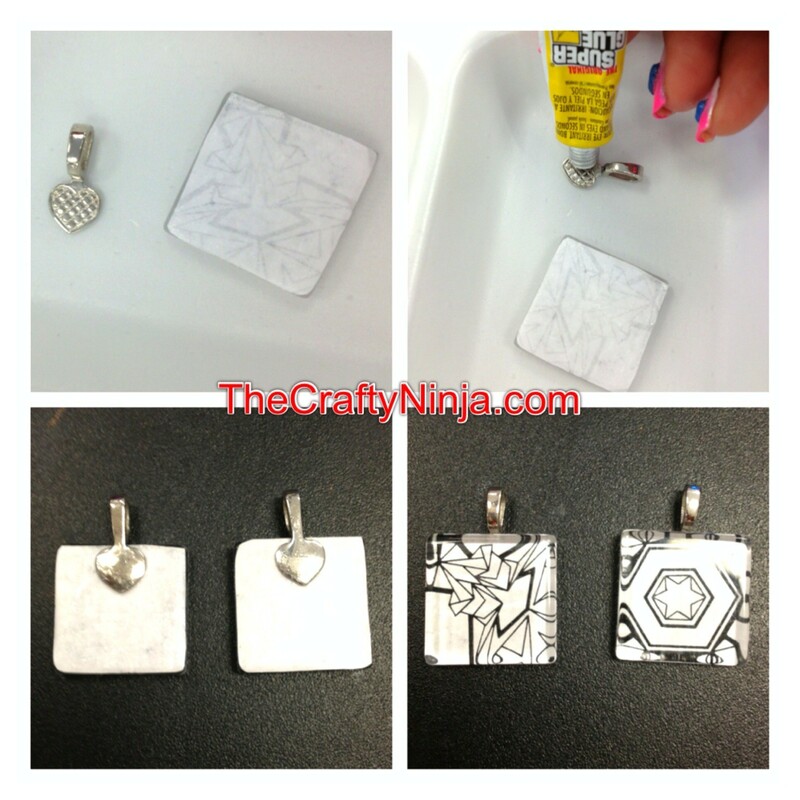 Apply the diamond glaze to the back of the paper to seal. When it is dry trim off any paper that doesn’t fit. Last add the bail to the back with super glue and let dry. 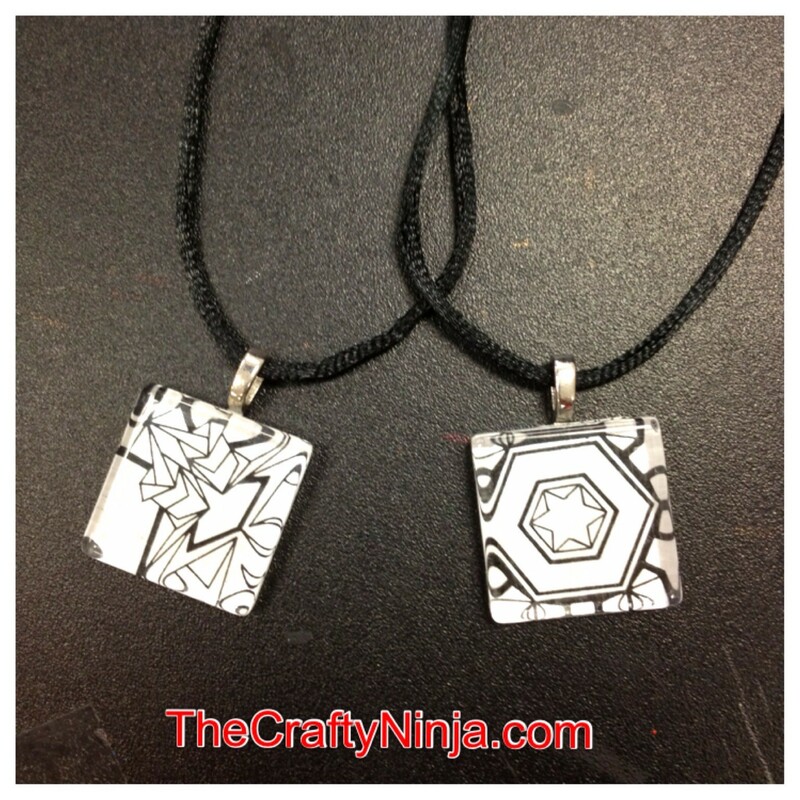 Apply to satin cord and you have your necklace! This is my inspiration I got from the second grade team. The teachers took pictures of their students in front of a pretty background, printed and cut the pictures out, and put in a Small Organza Draw String Bags. This was a gift they made for their Mother’s Day present. So cute! where did you get the clear glass squares? When you click the words Glass Square Bead I link it to where you can purchase the bead. Hope that helps!